Watch your back, Michaela Stone! 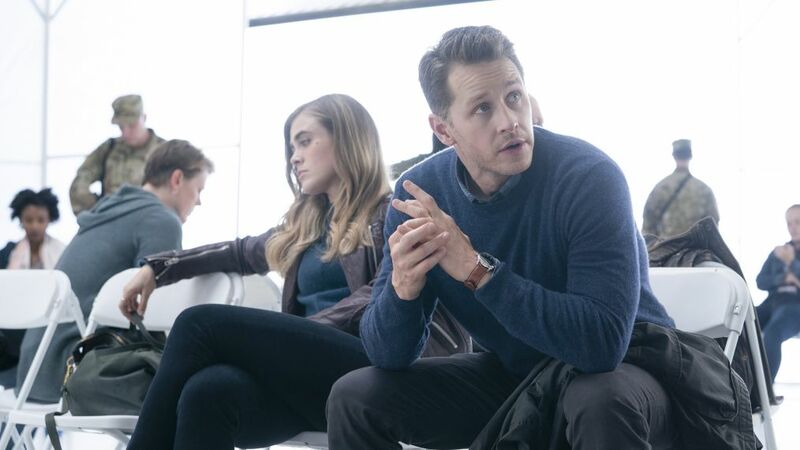 In Monday's episode of the new NBC hit drama Manifest, Michaela Stone (Melissa Roxburgh) — who recently confided in ex-fiancé and detective Jared Vasquez (J. R. Ramirez) about the voices she's been hearing since she returned from Flight 828 — may have reason to worry. The mystery drama's freshman season will now have 16 total episodes. In case you need reminding, Flight 828 is the flight that went up in the air, disappeared for five-and-a-half years, and returned with the passengers having no idea that much time had passed. Once the passengers were back on the ground, they began hearing voices directing them towards actions that at first seemed to help others but now we're not so sure. In telling Jared her secret, Michaela may have put his life in danger. And in an exclusive sneak peek, she finds out she has reason to worry when Jared informs her she's being watched. How will Michaela deal with the information that her actions may not be secret for long?